Ever since I bought this cargo jacket from Anthropologie this past December I cannot get enough of it! The cargo jacket is as comfy as it is cool, as high-impact as it is laid-back. A paradox of sorts, maybe, but a welcome one. 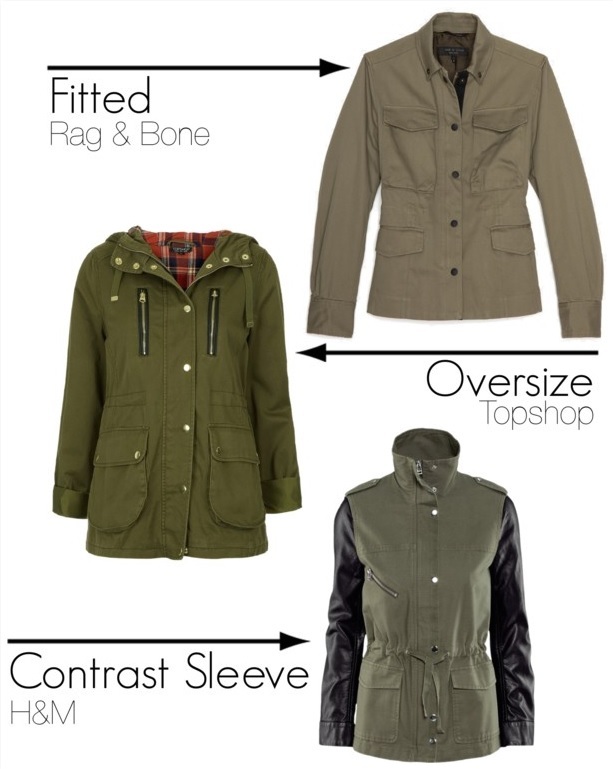 Under the umbrella term of "cargo jacket" there lies a wide variety of options. Oversized, fitted, embroidered or embellished, olive green, beige, long, short...there are so many types of cargo jackets it almost makes it difficult to find just one! I love that mine has little lace decals and a burgundy velvet trim that adds a touch of girliness, and the detachable hood is a perfect addition for a California girl who doesn't need to be too concerned with rain -though the hood is very handy in the rare occasion when we do get rain.